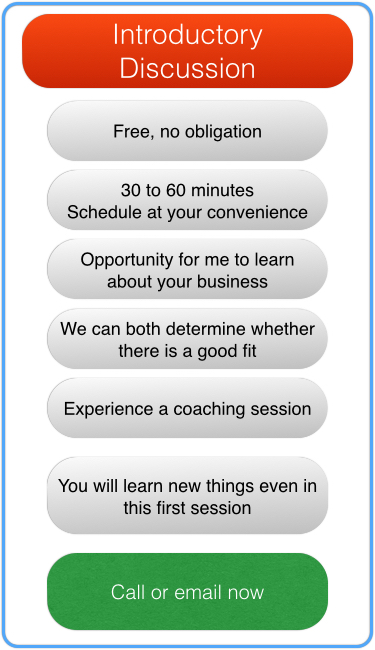 An Introductory Discussion is an opportunity for you to learn how we approach business coaching and evaluate how well it meets your needs. We of course are considering the same factors. Can we be helpful to you? The conversation is about you and your business. We will talk in-depth about your situation and explore some of the problems and opportunities you face today. The conversation also demonstrates how the coaching session works in practice. You will find that you will learn something of value even in this first discussion. At the end of the discussion we will decide whether and how to proceed. Introductory Discussions typically last between 30 and 60 minutes. Discussions take place on the telephone or via Skype. 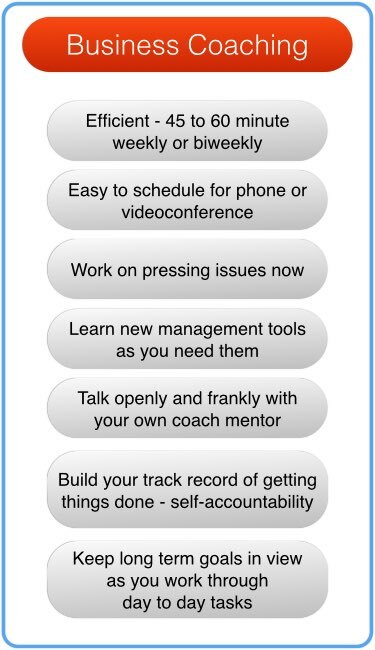 How Much Does Coaching Cost? Is There a Contract? Fees are similar to many other professional services. A difference is the range of impacts coaching will have for you and your business. In the end, clients never say they can’t afford the cost because they gain so much from the work we do. And, there is no contract. We work together as long as you want. Some clients find six months enough to make the improvements they want. Though many of these come back time and again as the need arises. Other clients have been working with me for many years.